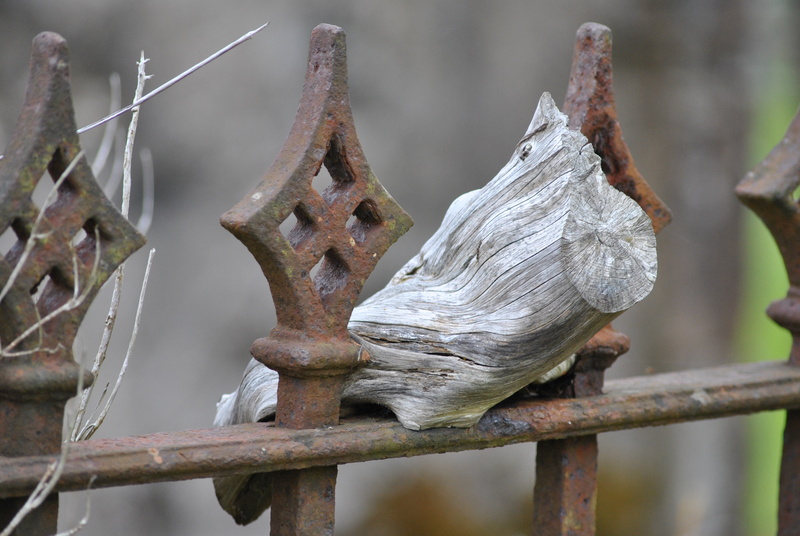 Their beauty lies in their simplicity: ancient stone slabs and crosses keep memory alive. 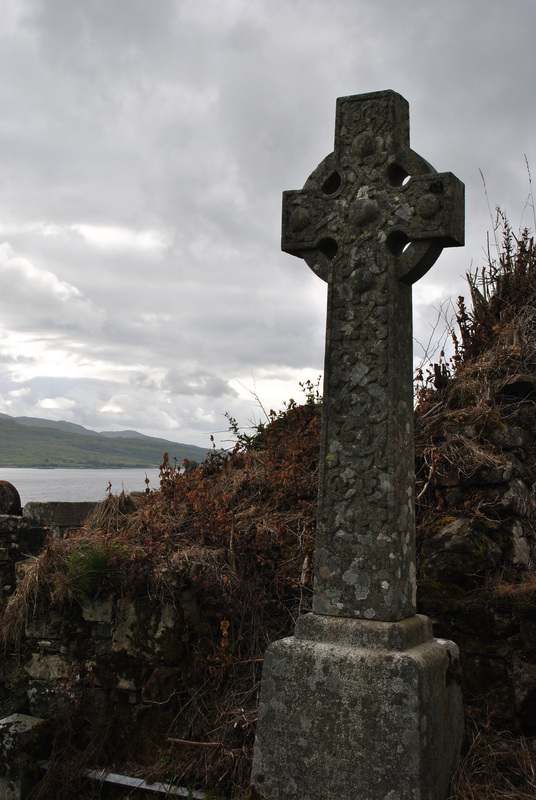 Some of the most beautiful in the Western Highlands are kept in Lochaline in Morvern on a graveyard known as Kiel or Cille Cholumchille, the church of St Columba of the church, that overlooks the Sound of Mull. The holy man from Iona founded a monastery in the area, in medieval times it had been a busy place, farming and fishing being good in the sheltered slopes of the lush land. 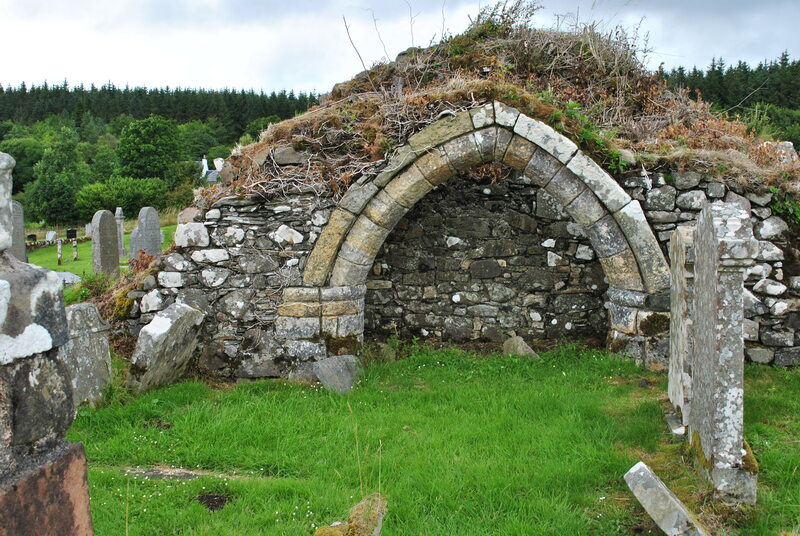 Remains of a medieval church are still in the churchyard. Protected from the elements in the Old Session House is a collection of beautifully carved slab stones that date back to 700, older ones to 1300 and later. Time, thought and imagination went into these intricate works of cemetery art. The stone carvers in the area were renowned craftsmen in their time. Their patterns are outstandingly natural. 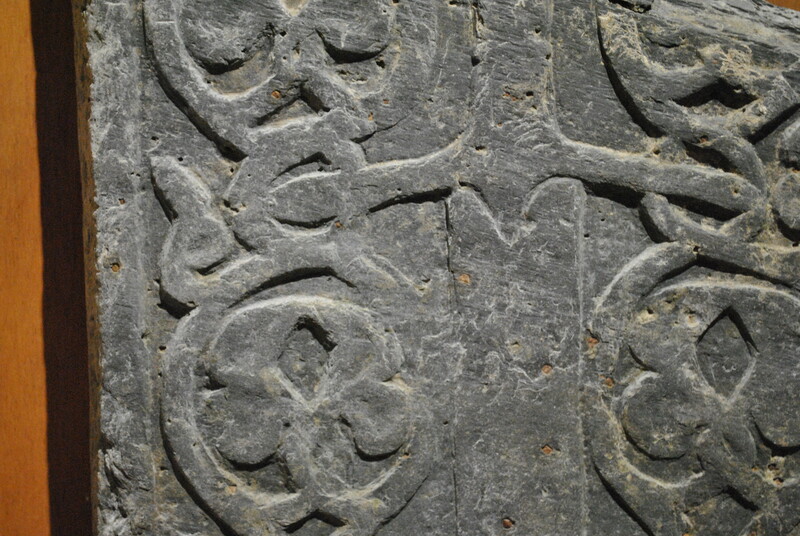 In the graveyard itself, there are still a few old and very beautiful carved slab stones left. One of the most prominent carvings of course is the skull-and-crossbones, a metaphor, easily understood by the mainly illiterate population of the time: death awaits everyone. But only the rich have the final message carved in stone. There for centuries to commemorate. Some went across the ocean, some went to the graveyard, and where are the others?